Thanks to Lory at The Emerald City and her Reading New England Challenge, I have finally read this book. ♦ Some might argue that love isn’t the right word to use in respect to Olive Kitteridge, but I am here to say that it is. Yes, she can be cantankerous and stern, but she can also be tender and kind. She is flawed, but she is vulnerable and real, and I love that about her. She reminds me of Moses Sweetland and Hagar Shipley, both characters that I loved. ♦ Olive has lived a hard life, and even though she believes in moving forward, she has a hard time letting people get close to her. She has a husband who sees the goodness in her, but she still keeps him at a distance. Even her own son, who she desperately loves, she keeps at a distance and then feels hurt when he does the same to her. He wanted to put his arms around her, but she had a darkness that seemed to stand beside her like an acquaintance that would not go away. … deep down there is a thing inside me, and sometimes it swells up like the head of a squid and shoots blackness through me. I haven’t wanted to be this way, but so help me, I have loved my son. ♦ The book is made up of a collection of linked stories which allows us to see Olive from other perspectives, but also the community she lives in and the people who live around her; like snapshots of a life at different stages and angles. Olive is not always at the centre of the stories; sometimes she is just a neighbour helping out, or the teacher of one of the children. I found this approach gave Olive’s story even more depth. Putting everything together this way, we get a broader view of her life; how others see her as well as how she sees herself. People mostly did not know enough when they were living life that they were living it. ♦ Olive’s husband, Henry. He is a kind and gentle man who puts up with her sharp tongue, rough parenting style, and swearing. On the one hand, I felt bad for him and wondered how they ended up together, and on the other hand I was glad that she had him as a husband. I would love to read more about their history and their marriage, although I suspect it would end up breaking my heart. Oh God, yes, she was glad she’d never left Henry. She’d never had a friend as loyal, as kind, as her husband. And yet, standing behind her son, waiting for the traffic light to change, she remembered how in the midst of it all there had been times when she’d felt a loneliness so deep that once, not so many years ago, having a cavity filled, the dentist’s gentle turning of her chin with his soft fingers had felt to her like a tender kindness of almost excruciating depth, and she had swallowed with a groan of longing, tears springing to her eyes. ♦ There is a lot of heartbreak in this book and in this town. But there are also many tender moments. We get glimpses of Olive’s own tenderness when she takes care of Henry after his stroke; speaking to him even though there is no indication that he can hear her.Or when she helps to ease the pain of a recently widowed woman by listening to her stories. Just enough to let you know how big her heart really is. Big, but not always full. I wanted to fill it up for her, since she can’t seem to do it for herself. She knows that loneliness can kill people – in different ways can actually make you die. Olive’s private view is that life depends on what she thinks as “big bursts” and “little bursts.” Big bursts are things like marriage or children, intimacies that keep you afloat, but these big bursts hold dangerous, unseen currents. Which is why you need the little bursts as well: a friendly clerk at Bradlee’s, let’s say, or the waitress at Dunkin’ Donuts who knows how you like your coffee. Tricky business, really. I loved everything about this book: the structure, the characters, the portrait of a marriage, the workings of a small town, Olive’s biting comments, her regrets, her inner dialogue, and her big lonely heart. The stuff of life. [Elizabeth Strout]: I would hope that my readers feel a sense of awe at the quality of human endurance, at the endurance of love in the face of a variety of difficulties; that the quotidian life is not always easy, and is something worthy of respect. I would also hope that readers receive a larger understanding, or a different understanding, of what it means to be human, than they might have had before. We suffer from being quick to judge, quick to make excuses for ourselves and others, and I would like the reader to feel that we are all, more or less, in a similar state as we love and disappoint one another, and that we try, most of us, as best we can, and that to fail and succeed is what we do. Other novels by Elizabeth Strout that I have to look forward to: My Name Is Lucy Barton, Abide With Me, The Burgess Boys, and Amy and Isabelle. Which ones have you read? I’m so glad you enjoyed this, Naomi. I very rarely recommend adaptations of favourite novels but will make an exception for HBO’s of this one – Frances McDormand is Olive to a T! Yes, it’s a rare case of getting it right! I recently enjoyed My Name Is Lucy Barton so would be up for trying anything else by Elizabeth Strout. Olive sounds like a prickly but lovable heroine, like Florence Gordon (by Brian Morton). The structure of this book reminds me of Kitchens of the Great Midwest or The Life and Death of Sophie Stark, both of which I liked very much. I’m going to have to make this one a priority! I have heard of Florence Gordon, but didn’t know she was prickly – even better! And, I have Kitchens of the Great Midwest on my radar – nice to hear it has a similar structure. So many to look forward to! And I hope you can get to Olive sometime – I would love to hear what you think! I’ve recently found this one in a second-hand pile of books and plan to read it before I read Elizabeth Strout’s new one. Glad to hear it really worked for you – your enthusiasm is infectious. My husband absolutely hated Olive in the TV series they did, because all he could see was the hard part of her, but I think she’s much more complex. Nice review! Yeah, I don’t think I could get him to read the book. He has odd taste in literature. My husband wouldn’t read it either. These guys don’t know what they’re missing! I’ll see if I can get my brother to read it. He just asked me for recommendations, and he has more nuanced tastes. I have had this on my shelf for a few years now – time to bump it up on my TR list (maybe I’ll start it today, as I’m flitting from book to book not knowing what to read next)! I haven’t read anything by Elizabeth Strout yet but I’m glad she has a number of great books I can look forward to. I had it on my shelf for about 3 years before I finally read it. I’m glad I got that little shove from the Reading New England Challenge. I started this one a few years ago and couldn’t get into it, but since you recommend it so highly, I’ll try it again. Maybe I didn’t read enough to get hooked. Gasp! Maybe it was just your mood – you better try it again. Let me know how it goes! Ha! Must have been. I trust your judgement, so I’ll try again. I actually own this book. I’ve been waiting to take it on a trip. Now I can hardly wait. You are on a reading roll! I am planning to read this for the NE challenge, too, so I am happy to hear you loved it. I am attempting to listen to The Burgess Boys at the moment, but it’s not going well. However, that is due to my difficulties with audiobooks, not the story itself. I have been on a roll, but it is slowing down. Right now I’m slowly reading both Headstrong (for Doing Dewey’s nonfiction club) and Roughing It In the Bush. It’s good that I had a bit of a back-up. I’ve heard mixed reviews of The Burgess Boys, but Kay liked it better than Olive, I think, so I will still probably read it sometime. I don’t listen to audio books, and am jealous of people who can. I’m not good at listening while doing something else at the same time, so I might as well just read the book. I hope you like Olive, too! How do you like Roughing It so far? I love the little poems; they are so heart-felt. It’s so much funnier than I thought it would be. You might even be able to add it to your funny book list. 🙂 Tom Wilson cracked me up. I haven’t read this book. Is it written as a letter to her readers? I’m not sure I could read so much sadness due to my own tendency to get sad and lonely. It’s written as a collection of linked short stories. Some of the stories are about Olive and her family, but others are about the other people who live in her community. There is a lot of sadness, but it’s the sadness of real life; misunderstandings, hurtful words, relationship troubles, loss of loved ones. Sometimes that kind of sadness that we can all relate to is the worst, though, isn’t it? I should also mention, though, that there are also happy moments, as well as a lot of humour in the book. Yes. I’m a wiener. I don’t want to relate. Imma hide instead! The fact that you mention a likeness to Moses Sweetland definitely makes it more appealing. I really did enjoy Sweetland so much. I’m happy to hear you liked Sweetland! You should write about it – I would love to hear your take! I know. I need to. After pumping all those reviews out I’m finding it hard to get started again! What is up with that?! I’ve even loved the books I’ve been reading! Sometimes it just happens. Maybe you need a break? Or think up a creative way to write about them that doesn’t take as much time? The important thing is you are still loving the books! 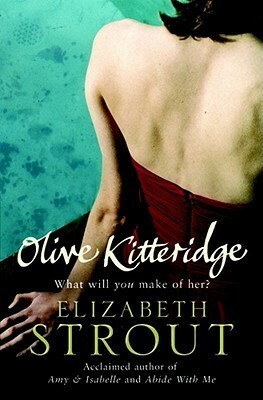 I’ve yet to try anything by Elizabeth Strout but I’m sure it’s only a matter of time. The HBO series is excellent, full of very fine performances, so much so that I can’t help but picture Frances McDormand when I think of Olive. One of the members of my book group very nearly picked this novel last year, so maybe I’ll get a chance to read it if it comes up again. Glad to hear you enjoyed it so much. Olive is wonderful! I’ve read The Burgess Boys and Lucy Barton and liked them both. Strout is on my list of authors to read. From everything I hear, I think it’s safe to say that all her books will be worth reading. I will have to start collecting the others! Loved the book and loved the mini seiries too. Plan to read all the rest of her novels. Thanks for your review. We have so many more to look forward to, I hear! Thanks for taking the time to comment! I cannot wait to read this! Thank you for the lovely review. I also found her very relatable (whether I wanted to or not!). I am so happy I finally read it. Thanks for commenting! I haven’t read any yet but now I will! I’ve just started this and am already finding the richness of character that you describe. Not much of Olive yet, so I’m looking forward to getting to know her more. So glad you found this gem through Reading New England! I’m not sure if I want to pick this up or not. I do really enjoy connected short stories but I have a hard time making myself pick something up when I know it’s going to have sad bits. I’ve not read anything by Strout. Somehow the high exposure of her books was a turn off.. I can see that. Maybe that’s one of the reasons I waited so long to read Olive. I think for my next one, I’m more likely to go back to one of her older books. In this case, though, the exposure/hype was well deserved. I didn’t believe it either. How could a bunch of linked stories be so good? But they were! Strout has been on my TBR for ages and believe it or not I don’t even own one of her titles. Frankly I wouldn’t even know where to start with all the great things I’ve heard about her. 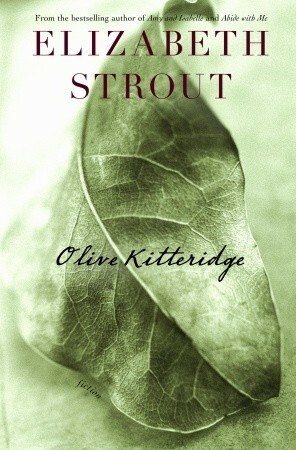 Where would you suggest I start as a first time reader of Strout. All the titles you’ve described sound very interesting. Oh btw this post was great! LOVED this book! love your review. Thanks! I’m off to see if you reviewed it! Yes. I liked Olive long ago too. I just finished Strout’s new novel which is good but different. Perhaps not as well-rounded a story as Olive. I’ve read all of her books except Abide With Me which I don’t know much about. I like her writing and themes. Based on what I’ve read and what I’ve heard, I think she could easily be a writer whose books you can count on to be good! I have this. A friend bought it for me and I don’t know why I haven’t thought about reading it. You had me multiple viewpoints. Right up my street! I’m so glad you have it, and I hope you end up loving it as much as I did! 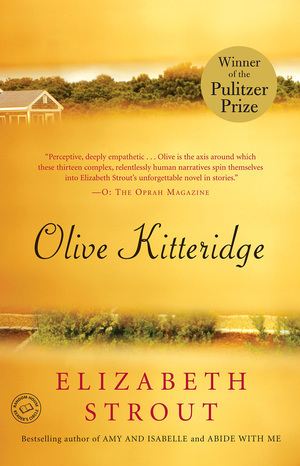 I bought Olive Kitteridge at my library’s book fair last year, but haven’t yet read it. (I think I may have loaned it to someone). I didn’t know much about it but it looked interesting. I’ll definitely have to make time for this one. I had mine for a while before I finally read it, then couldn’t believe I waited so long. It also made me realize how much I like the linked short story style, so I can keep my eye out for more. I hope you enjoy it! 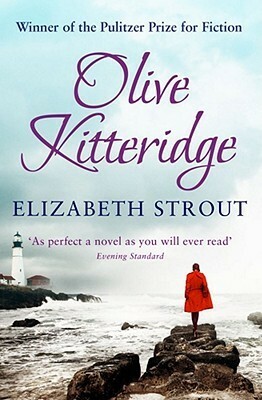 I enjoyed your review of Olive Kitteridge, one of my favorite novels of all time. The TV series is terrific too. I just finished Amy & Isabelle and enjoyed that as well, though it’s quite different. Have you ever read Marilynne Robinson’s Housekeeping or Lila? Sylvie in the former, and Lila, are two other utterly original main characters. I read Gilead a few years ago, but haven’t read any of her others. I have a feeling I would enjoy the 2 you mention more. Thanks for the suggestions! And, I’m glad you enjoyed my review. Thanks for stopping by my blog and commenting! I’m in the middle of Gilead right now, actually, and finding it a hard go. The two I mention are much different, though Lila is John Ames’s wife from Gilead! It sounds like I shouldn’t have started with Gilead! I liked it, but it didn’t make me want to run out and grab her other books. But, now I feel a lot more confident about trying them.